Most of you may already have a flashlight App on your Android smart phones and tablets. If you already havent downloaded on, give this one a try. The publisher Nikolay Ananiev has come out with this unique must have FREE App called Tiny Flashlight + LED, which can use your phone's LED as a flashlight, a SOS beacon and a morse code signal maker. If you dont have a LED equipped smart phone, Tiny Flashlight + LED will use you screen as flashlight. * Camera LED flashlight - Uses your phone's camera flashlight to emit bright light. Note that some devices don't have a camera flashlight. In this case the led flashlight option will be disabled. * Screen Light - This is the basic white screen flashlight, which is bright enough for daily use. You can use it as your primary flashlight option in case your device doesn't have a camera flashlight or you want to save the battery. * Warning Lights, Police Lights, Color Flashlight, Strobe Flashlight, Morse Code, Text to Morse, Manual Morse Code, Camera Light - Different light sources, which may be useful in many situations. 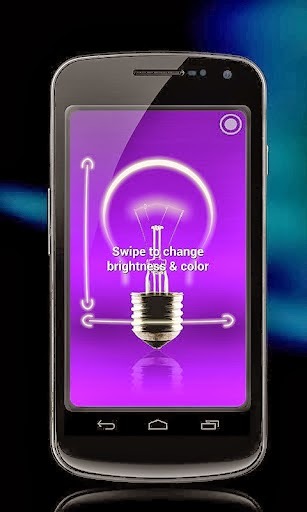 You can change the brightness and the colours. * The best flashlight and one of the highest rated on the market. * The best tablet app available today on all device resolutions. * Flashlight with a small memory footprint, low battery and CPU consumption. Highly optimized. * Morse code functionality with a Text to Morse code support. You can download this FREE must have App for your Android smart phones and tablets from Google Play here.